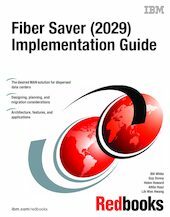 This IBM Redbooks publication is for technical professionals who are interested in a metropolitan area network (MAN) solution for their data center, using DWDM technology. This document gives a broad understanding of the IBM 2029 architecture and application, and provides information to help plan, implement, configure, and manage an IBM 2029 network. It also contains a discussion on how to design/create a solution to migrate from an IBM 9729 to an IBM 2029. A walkthrough of the commissioning and provisioning process, as well as practical examples for problem determination, are also included.